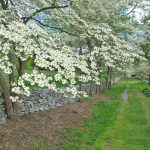 Winchester and Frederick County, Virginia has been a popular wedding destination for many years. Couples from across the country have fallen in love with our history and beautiful scenery. Located in the northern Shenandoah Valley, our seasons and settings are here just waiting for brides and grooms. We’d be honored to be your wedding location choice. 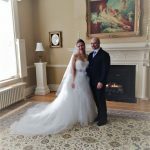 Getting married in Winchester-Frederick County? For over 200 years, Belle Grove has been the site of countless celebrations. 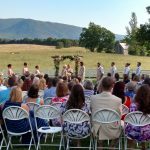 Become a part of this tradition by celebrating your wedding at this 18th century plantation that includes lovely lawns, gardens, a historic barn, and mountain views. With its picturesque views and wide open spaces, Blandy is a unique and beautiful setting for weddings and receptions. Choose from two lovely areas that provide a natural outdoor venue for your special day. 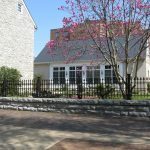 Located in the heart of Old Town Winchester, the Bright Box Theater can accommodate up to 450 guests. The facility boasts state-of-the-art sound and lighting, House DJ services, catering, and more. 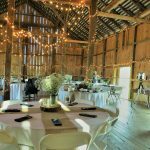 Cloverdale Barn provides an elegant and picturesque setting with outdoor ceremony locations and a rustic barn venue. This historic inn boasts an on-site wedding chapel and a beautiful garden for small weddings and same-day elopements. In-house wedding officiant and packages with lodging are also available. Featuring 5,000 sq. ft. of meeting space, including a 3,800 sq. ft. ballroom. 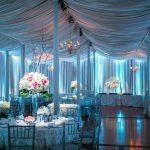 The Washington Room is an elegant and spacious venue with a built-in dance floor, and can accommodate up to 250 guests. Full-service catering is available. 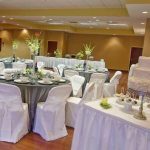 The Hilton Garden Inn’s reception space will comfortably seat up to 100 guests or 80 guests with a designated dance area. 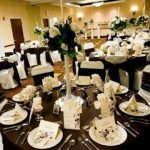 AV equipment, table linens, napkins, and centerpieces are also available, in addition to catering by The Garden Grille. 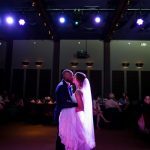 Historic Jordan Springs is an all-inclusive event center and can accommodate any size guest list, large or small for both ceremonies and receptions. Offering beautiful indoor and outdoor locations. 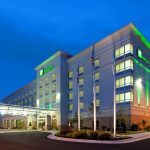 The Holiday Inn Historic Gateway is an ideal location for rehearsal dinners and wedding receptions for up to 120 people. With the excellent Executive Chef Robin Smith, full catering is provided in-house and offers a wide range of tasteful options.